Thats right folks.... 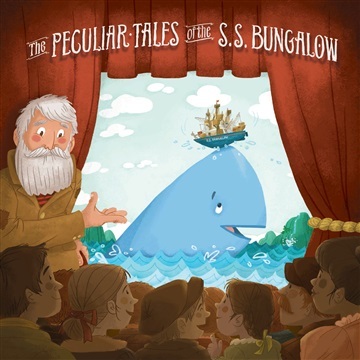 The Peculiar Tales of the S.S. Bungalow has been submitted for 2016 Grammy consideration in the Children's Music Category!!! If you enjoy the project, please spread the word by sharing this video. We need the help of our amazing Noisetrade community to get our project out there so that Grammy voting members will have us on their radar when its time to vote. We are the Big World Audio Theatre — a ragtag group of musicians, artists and oddballs from the wonderfully peculiar Portland, Oregon. Given our penchant for whimsical songwriting, adventuring,and collecting weathered paintings of old, three masted schooners, it was only a matter of time before we crafted these elements of our lives into a story of great seaworthiness. We can say with confident smiles that we have adored every minute creating the world of Gregory and his stalwart ship. All Aboard the S.S. Bungalow! !